A chess and board/card game hybrid, "Eternal Kings" pits players against one another in 1-on-1 or 2-on-2 team matches. After building a squad of soldiers that matches traditional chess pieces, only with card analogues related to creatures with special attributes and abilities, you place your warriors on the field of play. Along with ability cards, you maneuver your characters to corner opponents and take advantage of strategic advantages. With a relatively low learning curve and easy setup, "Eternal Kings" could become a tabletop go-to for players who like to clash wits in a traditional strategy setting jazzed up with well-integrated fantasy tropes. Endlessly replayable, with no two games likely to turn out the same way, this is a game that could easily rise to the stack of board game boxes in your closet. 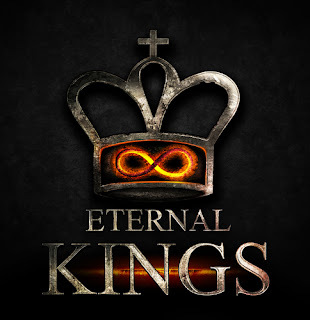 If "Eternal Kings" piques your interest, look up for an upcoming Kickstarter, with info to come on the game's website.